Additionally, the Accelerator (AD) drive system offers an eccentric motion that creates an indirect relationship between the sprocket and the footboard, increasing the velocity of the pedal by shortening the length of the stroke. It is recommended for situations that require increased speed and sensitivity. A single cast post on the remote pedal will make movement between the hi-hat and remote double pedal more fluid. Additionally, the Turbo (TD) concentric drive system maintains a direct relationship between the sprocket and the footboard to provide a solid, powerful, consistent feel and response. The New Non-Skid Rubber Grip will keep your pedal planted wile being easily adjustble. The NewTri-Pivot Toe Clamp ensures the pedal and drum stay connected no matter what hoop size or angle. Convenient Clip with Drum Key also included. DWs patented Delta Ball-Bearing Hinge is a state-of-the-art lightweight aluminum design that incorporates ball bearings at both sides. 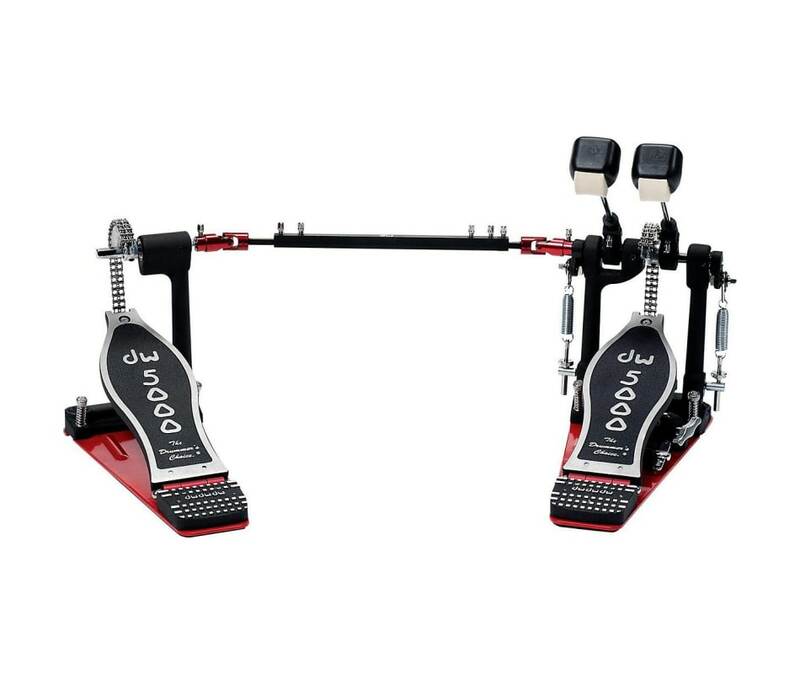 The Single Post Casting design on DWs double pedals provides ease of movement between the pedal and hi-hat, also allowing the pedals to be played simultaneously.